Losing just a few pounds makes a big difference. Five percent of your body weight — 10 pounds for a 200-pound person — can improve all kinds of health problems, and make you feel better, too. Ease Up on Joints: Just 10 extra pounds add 40 pounds of pressure on your knees and other lower body joints, wearing them out more quickly. Extra fat can also cause inflammation — when chemicals in your body damage your own tissues over time, including your joints. Losing even a little weight can ease these effects. Prevent Type 2 Diabetes: If you’re more likely to get the condition, weight loss is one of two ways to prevent or delay it. The other is moderate exercise. If you already have diabetes, losing that weight can help you take less medication, keep control of your blood sugar, and lower the odds that the condition will cause other health problems. Increase Your Good Cholesterol: You can lower your LDL or “bad” cholesterol with healthier food and medications. But it’s harder to raise levels of the “good” kind of cholesterol, HDL. That’s the type that clears bad LDL from your blood, so the more you have, the better. Exercise and losing body fat can get you into the ideal HDL range: above 60 mg/dl, which lowers your odds of having heart disease. Improve Elevated Blood Pressure: Extra body weight makes your blood push harder against your artery walls. That makes your heart work harder, too. 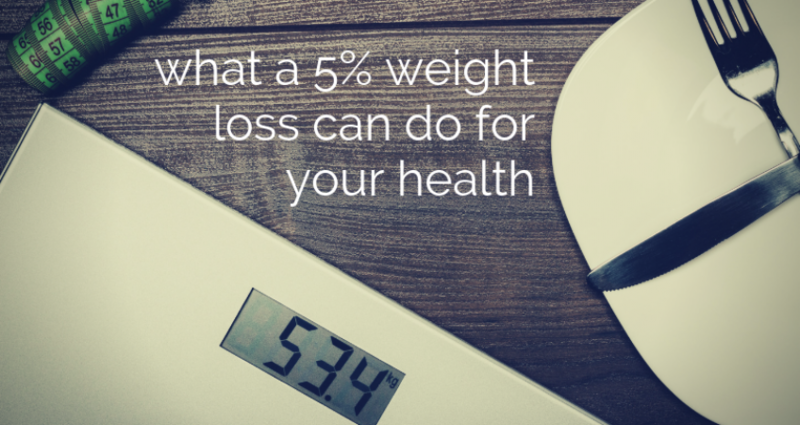 You can lower the pressure by about 5 points if you trim 5% from that number on the scale. Cut your salt and eat plenty of vegetables, fruits, and low-fat dairy, and you may lower it even more. Sleep Better and Longer: Some studies have shown that not getting enough sleep can make you more likely to be obese. Others show that losing at least 5% of excess weight can lead to better sleep. Decrease Inflammation: Fat cells, especially those around the belly, can release chemicals that irritate and inflame tissues all over the body. This is linked to health problems like arthritis, heart disease, heart attack, and stroke. Work toward a 10% weight loss goal, and you can lower the amount of these substances and cut your chances of having a serious illness.